Saturday 14th February 2015 was a beautiful sunny crisp Spring day. It was a day for flowers, chocolates, breakfast in bed, romance, love and…..RUGBY!! 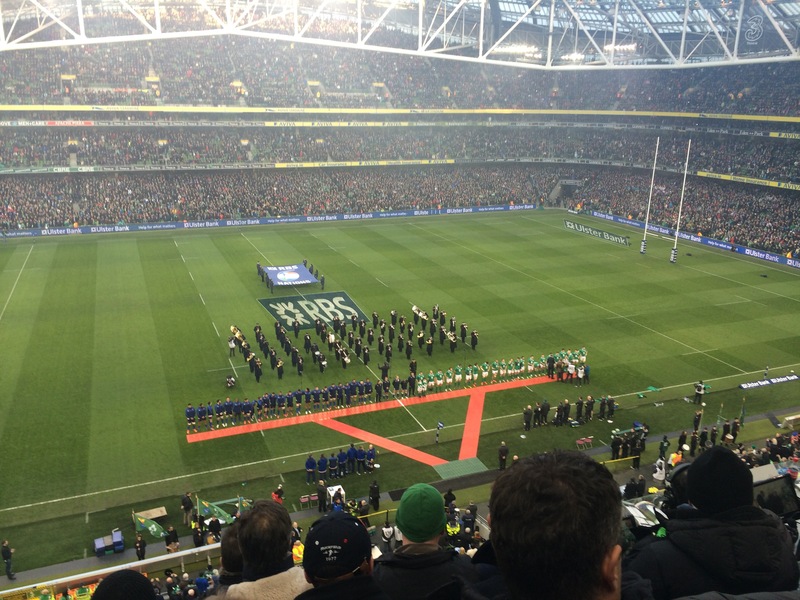 Yes, Valentines Day fell on the same day Ireland played France in the Six Nations Championship at home in the Aviva and we had tickets. We rarely spend a whole day together alone without the kids & the match had a late kickoff time of 5pm so we decided to make the most of it and head into Dublin early. 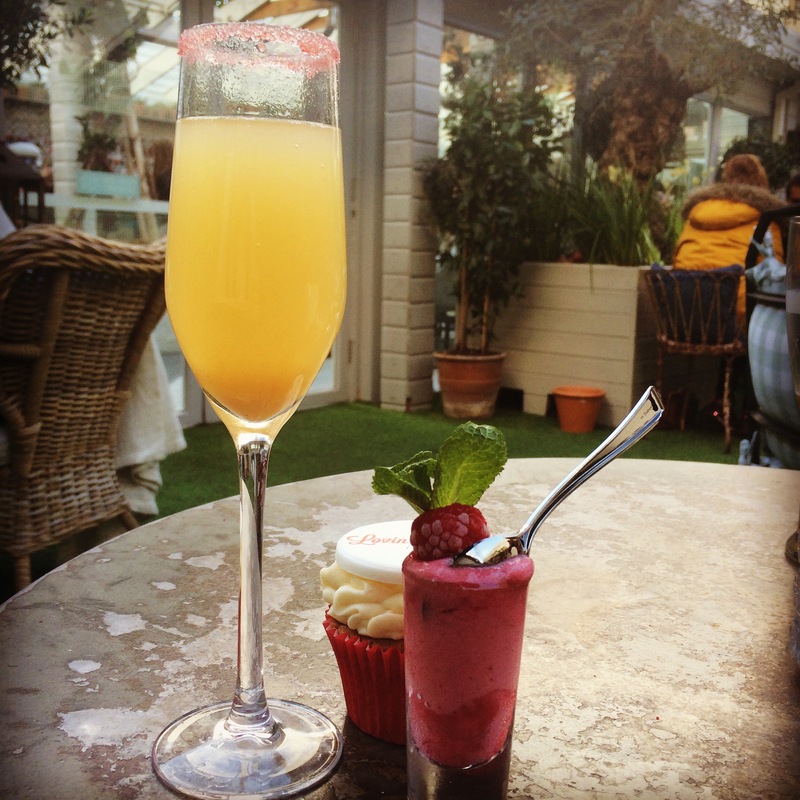 We got to House on Leeson Street around 1pm for our French themed brunch club gathering. 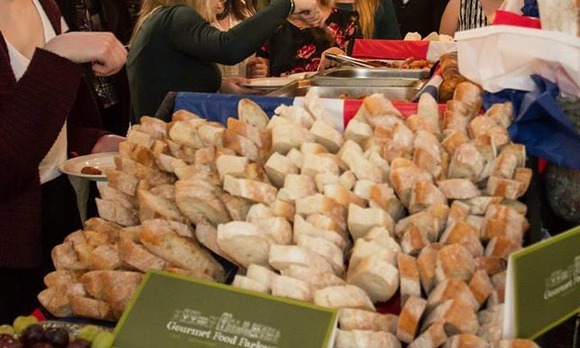 It consisted of a buffet style selection of gourmet French themed food; breads, cheeses, hams, salads and fruit aswell as some gorgeous dressings. There were chocolate croissants and crepes too! They also had some hot food including cocktail sausages, pudding & ham and cheese toasties. So we grabbed a selection of what was on offer and headed out into the lovely garden to enjoy the food. Also included in the tickets were drinks vouchers for pints of Kronenberg and cocktails. The beer garden in House is a great place to unwind, cocktail in hand (I went for the “French Blonde”) and to people watch. It has a very laid back atmosphere, with outside fireplaces, rugs to keep you warm and patio heaters. Even though it was a chilly February Saturday it felt like a summer’s day with the blue sky above. At each table, there were boxes of individual cupcakes (love themed for Valentines Day) and lots of chocolates. The cupcake below with the heart was red velvet with a ridiculous amount of icing on top, inducing a major sugar high! 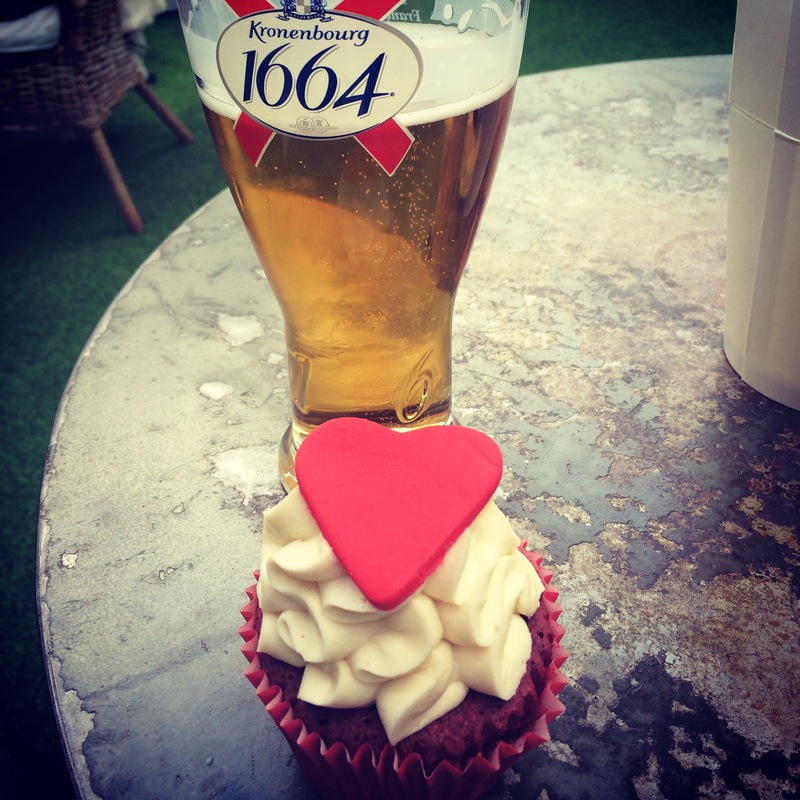 Enjoying the beers, cocktails and desserts in the laid-back surroundings of House’s beer garden was pure bliss. It is a very romantic setting and we got time to ourselves for the first time in forever to sit and chat and catch up on the little things in each other lives that somehow get lost in the daily monotony of traffic jams, schools runs, rushed dinners and late nights working. After a couple of hours with an overload of food and drink, we decided to start the walk to the Aviva. 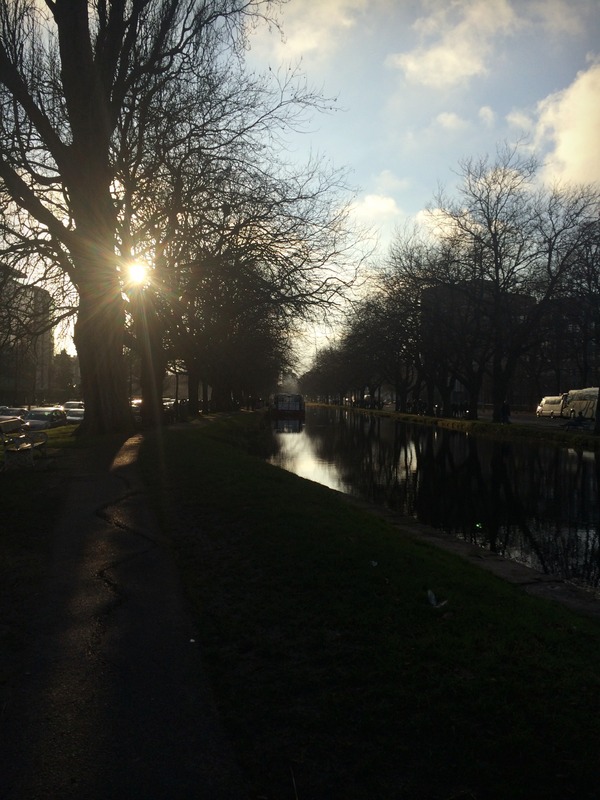 We walked along the grand canal as the sun began its descent and it glistened against the water, making it the most romantic setting. Being very busy working (& studying) parents it’s important to make the most of days without the kids. Even if it’s just walking in silence enjoying the scenery (a few hours without hearing the word mum, mam, mammy, mummy or mommy can do wonders for the soul)! 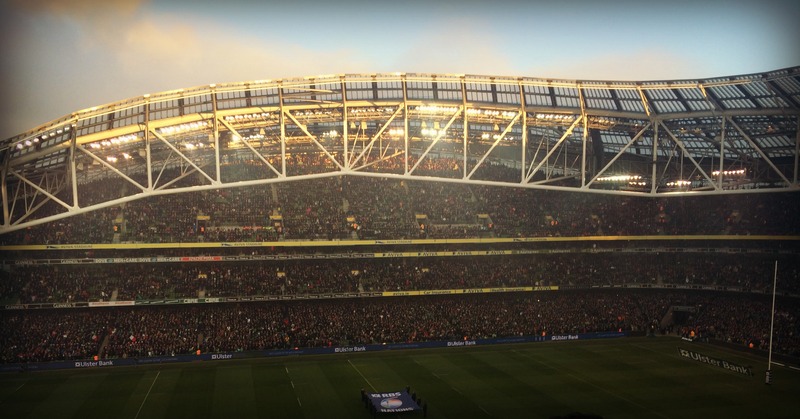 We grabbed a hot chocolate in Starbucks on Baggot Street to keep the hands warm and then into the Aviva, scuttering into our seats hurridly just in time for the national anthems. The last of the sun basked the stadium in natural light before kickoff. The stadium is magnificent and no matter where you’re sitting you have a great view. The match was awesome! It was so tense and nerve wracking at times. Ireland were ultimately victorious, 2 for 2 and ever conscious that the English match looming next was going to be the biggest hurdle. It was a great day, getting to spend time together as a couple, to chat, to eat good food and drink, to enjoy the surroundings of House, to walk hand in hand and enjoy each others’ company. All good things must come to an end however and by the time we collected the kids we were dying to see them. They excitedly wanted to hear all about the game having seen it on TV. Back to being mum and dad after a day off and hearing “mum, mammy, mommy, mom etc.” incessantly again wasn’t so bad! And I couldn’t have asked for more on Valentines Day than finishing it with hugs and cuddles from the three loves of my life!